Earlier this winter, Rob Pederson stepped out of his Regina home into the deep freeze of a Canadian prairie morning and made his way to the airport. Two hours later he was soaking up the sun in Scottsdale, Ariz., with his wife at their second property. 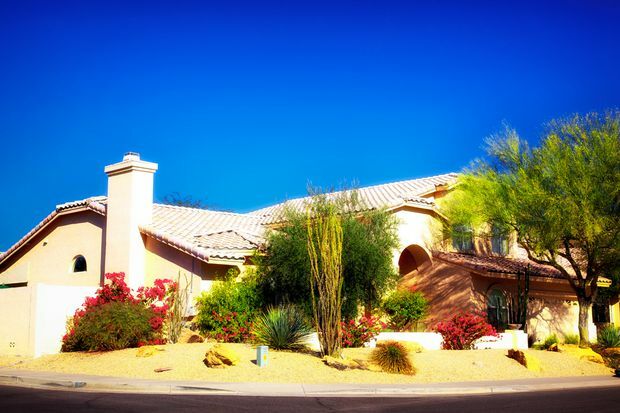 Mr. Pederson, a real estate broker and the director of sales and marketing for Canada To Arizona LLC, helps Canadians buy properties in Arizona, Florida and other popular hot spots in the United States. Whenever he touches down in Scottsdale, which is popular especially with snowbirds from Western Canada, he feels right at home. It’s no secret that when temperatures plunge, Canadians check out real estate south of the border with renewed interest. According to the U.S. National Association of Realtors, between April of 2017 and March of 2018 Canadians bought about 27,400 residential properties in the United States valued at US$10.5-billion and were responsible for 10 per cent of all foreign real estate sales there. A property in Sarasota, Fla. More than half a million Canadians own property in Florida, according to a report from the Bank of Montreal. Nearly two-thirds of sales were in the three most popular states, Florida, Arizona and California. More than half a million Canadians own property in Florida alone, according to a report from the Bank of Montreal. It’s likely no surprise that the Canadian dollar’s low value is dampening sales, though. Purchases in the United States are barely holding steady, says Terry Ritchie, director of cross border wealth services with Cardinal Point Capital Management Inc. in Calgary. In fact, he is seeing more wealthy Canadians looking to unload their second (or third) houses rather than buying new ones. Even so, Canadian buyers can still expect cheaper prices than what they would pay at home, he points out. In December, median home prices in Canadian cities ranged from $473,000 in Calgary to $845,000 in Toronto and $1,032,400 in Vancouver. In comparison, the median price for a home in Sarasota, Fla., was US$259,400. In Phoenix it was US$239,000, and in Palm Springs, Calif., it was US$396,000. “If you’re talking about a house in Toronto versus what you can get in Arizona or Palm Springs or Florida, it’s night and day,” says Mr. Ritchie. A vacation property in Scottsdale, Ariz. In December, the median home price in Phoenix was US$239,000. None of these U.S. prices are as low as they were a decade ago, however – after the financial crisis of 2008 and 2009, when home prices plummeted in the United States and the Canadian dollar spiked in value. Today these properties make better family vacation homes than investment properties, Mr. Pederson says. But here is a silver lining: less Canadian competition. Maybe not from fellow Canadians, but Americans are giving foreign buyers a run for their money in some instances. Wealthy American buyers – those earning more than $1-million a year – in Northeastern states have been snatching up Florida luxury homes thanks to President Donald Trump’s tax overhaul in 2017. The new rules, which hit residents of high-tax states particularly hard, are enticing the wealthy to move to Florida and other low-tax locales, according to Bloomberg. In Fort Lauderdale, the median price for swanky condos leaped 26 per cent in the fourth quarter of last year compared with the year earlier, according to Douglas Elliman Real Estate and Miller Samuel Inc. Other areas popular with the well-heeled have also experienced upticks. Wealthy Americans and Canadians also have a new incentive to buy property in the United States, says Linda Leung, director for U.S. tax planning for BMO Enterprise Wealth Planning. Mr. Trump’s tax reform legislation increased the lifetime U.S. estate and gift tax exemption to more than $11-million from $5.6-million. The change allows the wealthy to essentially double the assets they can shelter from taxes. Anyone with an estate of, say, $7-million, is likely happy, Ms. Leung says. A home in Palm Springs, Calif., where in December the median price was US$396,000. Not all Canadians are fans of Mr. Trump, of course. But that hasn’t slowed real estate sales, says Mr. Pederson. In fact, when he hears about Canadians avoiding travel to the United States or not buying property there because of who is president, he thinks it’s ridiculous. The face of Canadians who buy U.S. property is changing, Mr. Pederson says. While half of his clients are retirees, the rest are professionals in their 40s, and even in their 30s, with a history of family migrating south for the winter.